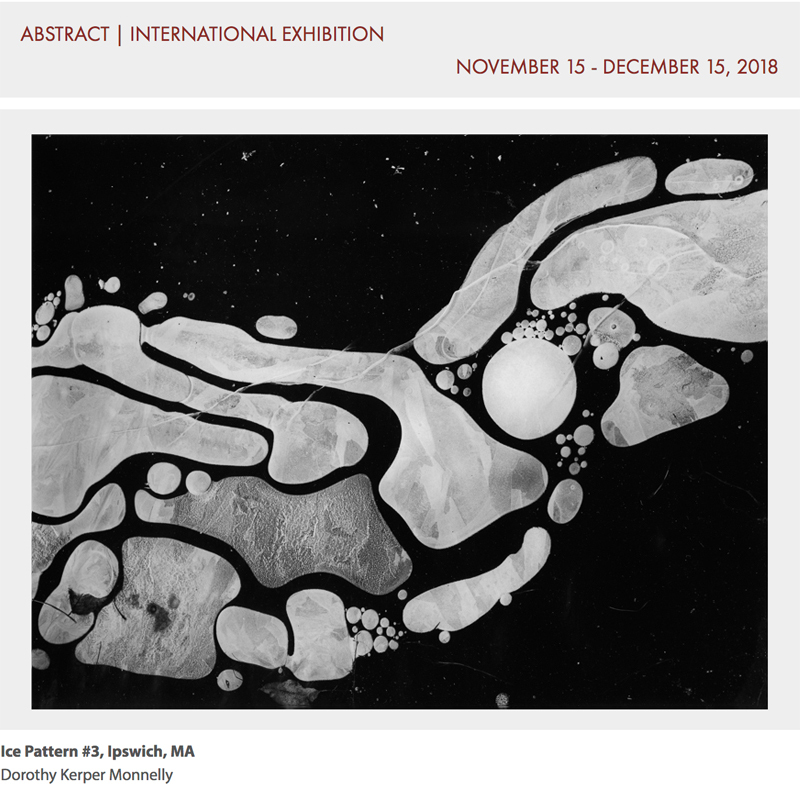 Dorothy Kerper Monnelly was selected one of 35 winning exhibitors from 1700+ entrants in ABSTRACT International at the C4FAP. The aim of abstract art is not to replicate representation of the physical world, but instead, through the manipulation of shape, color, and form, to point towards aspects within the physical realm that alter the viewer’s understanding. To photograph is to transform and it is truly a skill to have the ability to synthesize such a small fraction of reality and create something that represents so little but demonstrates so much. Through this, abstraction allows us to see reality in a different way and decipher and depict the world around us. 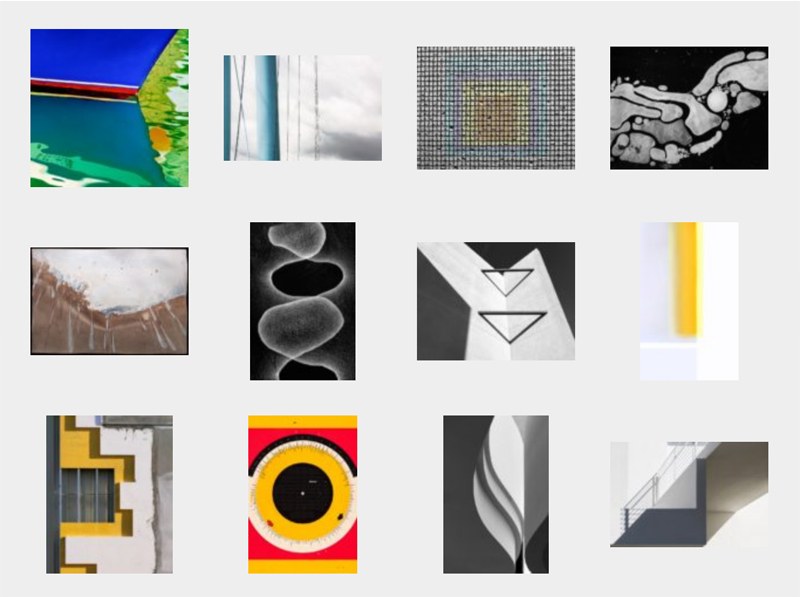 From a total of around 1700 image submissions, the following 35 pieces were individually selected based upon their photographic merit and their carefully constructed abstract compositions. The works that emerged in this exhibition are able to go beyond external reality and utilize abstraction to weave representational elements into their own unique higher form. This exhibition was curated with the idea of abstraction as a signifier of order, purity, simplicity, and spirituality in mind and aims to show the depth of practices and methodologies within the mode of abstract photography. Many sides of photographic technique and methods of abstraction are represented; from analog to digital, in-camera to alternative processes, and straight to conceptual. In the works, the subjects are simplified and schematized and range from pieces with some abstract elements to those that are completely abstracted. Some photographs seamlessly balance traces of realism with direct representation that balance the pieces and strengthen their abstract elements. These complex abstract works, though different in each artist’s individual approach all have emerging surreal elements. Each photograph that was selected transcends reality through the use of simplification, geometry, enlargement, pattern, and overall content. Based upon this criteria, only one piece by each artist is included within the exhibition to fully display the multiplicity of viewpoints and the broad range of abstract photographic methodologies.